The project was to create a set of icons using letters, numbers, and symbols in the Helvetica font and to create a printed version of them. The uRobot is a conceptualized robot that can help people with their everyday lives with a manual that includes a brief description of each icon. 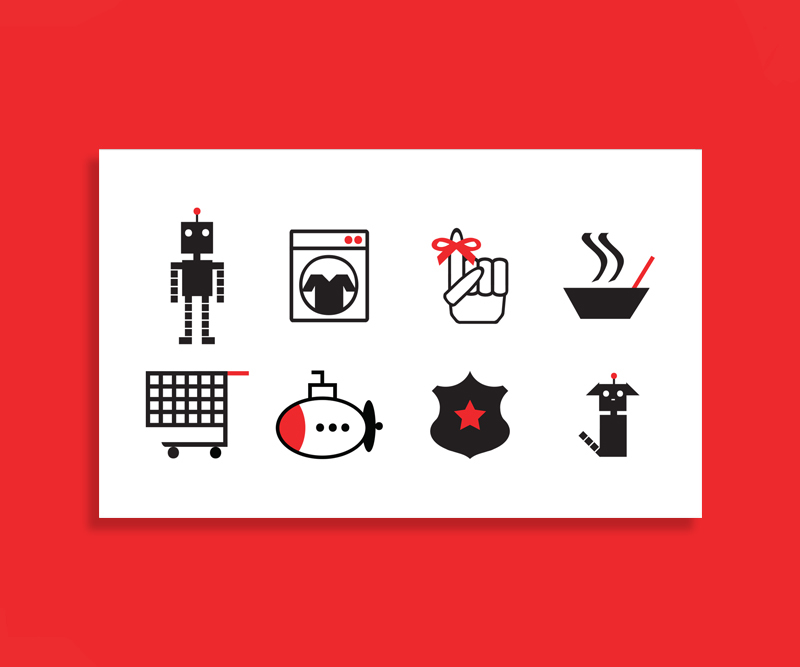 The icons show the different functions the robot can do, including washing clothes, grocery shopping and even introducing a new line of robot pets.